Erected in 2012, a pedestrian bridge and 197 foot tall sculpture. It spans Interstate 40 at Robinson Avenue south of downtown Oklahoma City. 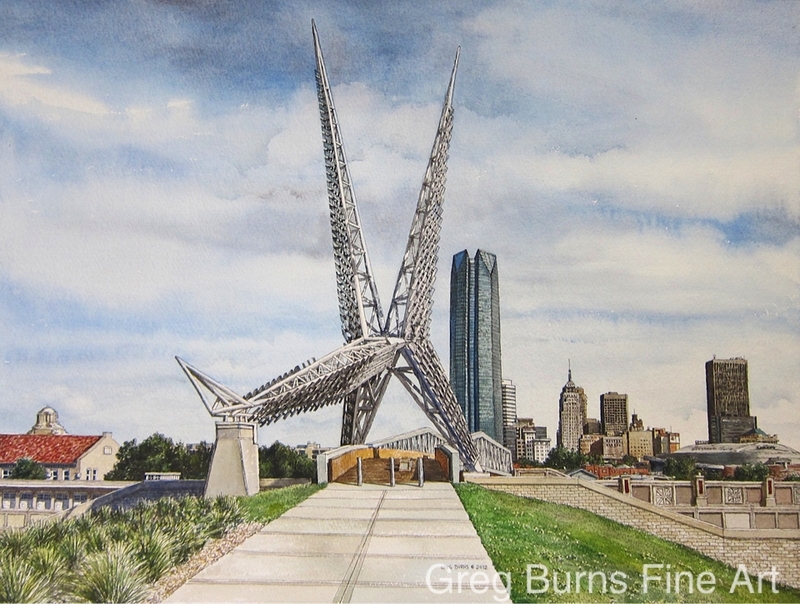 The sculpture is a stylized homage to the state bird, the Scissortail Flycatcher. It is illuminated nightly to wecome visitors.